Further muddying the waters was the reveal of Henchman’s alleged involvement in another, less high-profile hip-hop murder, that of 50 Cent associate Lowell Fletcher. 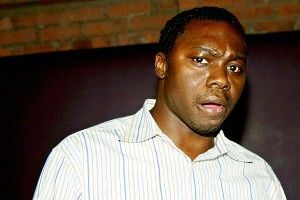 According to reports, the homicide was a retaliation for an incident in which Fletcher messed with Rosemond’s teenage son for wearing a T-shirt bearing the logo of Rosemond’s company, Czar Entertainment. (Czar Entertainment represents G-Unit cast-out The Game, of whom Fletcher and the rest of 50’s G-Unit were not fans at the time.) And then came Henchman’s arrest for drug trafficking, in which the cops dramatically ran the then-fugitive down on the streets near New York City’s Union Square. All of this happened within a month of Isaac’s confession. When Isaac first went public, the hope was that the new information would stir the pot, and that the interminable process of making an arrest in the Tupac case (and by its default close association, the Biggie case) would pick up steam. As of now, with Rosemond heading to prison on wholly unrelated charges, that does not appear to be happening. (But what colorful charges! Says the Times, “[The cocaine] was often covered in mustard to prevent detection, and both money and drugs crisscrossed the country in musical-equipment boxes.”) The arrest may still provide some sense of comfort for hip-hop fans who choose to take Dexter Isaac at his word. For the most part, though, as far as concrete legal movement in the deaths of Tupac and Biggie is concerned, we’re just going to have to keep on waiting.